These scarves come in many colours and can be wrapped around two or three times to get the desired look. For purchasing information, please Contact Us. Greater Van Gogos shared a post. Just a reminder, we have an opportunity next week that doesn't come along every day! Join me next Thursday evening at the Mission Valley Hilton in personally welcoming to San Diego two incredible world-changers--Ilana Landsberg Lewis and Ida Nambaya. And no, you don't have to be a grandmother! This is also for others with an interest in making a difference on a global level. Ilana is the co-founder and executive director of the Stephen Lewis Foundation, which has built a network of 300+ grandmother groups all across Canada to partner with African grandmothers raising their grandchildren in the wake of the devastating AIDS epidemic that's taken so many young parents there. Ida Nambaya is a Zambian grandmother and one of Ilana's key partners in Africa. From all accounts, Ida is also a powerhouse organizer and influencer. Now Ilana and Ida are expanding their grandmothers' movement into the US, and they've chosen San Diego as one of their charter locations. They will be here for just one day, April 25, and would love to meet anyone interested in hearing more about their efforts. This will be an intimate meeting over a no-host dinner at the Mission Valley Hilton, 901 Camino del Rio South. Please come meet Ilana and Ida and hear more about their inspiring story and the substantial changes this international partnership is achieving. And please feel free to spread the word to anyone you know who might want to come, whether grandmothers or others! Here's a flyer with further info. Hope to see you on the 25th! Thanks! Find out more about how to support the Grandmothers to Grandmothers Campaign. Visit the Stephen Lewis Foundation website for information on ways to give. Check out our photos on Flickr. Our tools include a communications team and a speakers roster. 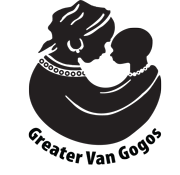 (c) 2019 Greater Van Gogos. All rights reserved.